For every role in the company, Certify offers a full suite of reporting tools designed to make their jobs easier. From ensuring expense reports are submitted accurately and on time to understanding spending trends by business unit, Certify has the right level of robust reporting for all your employees. Employees can easily track their mileage and airfare, or see how many policy violations they have incurred. And as some companies factor violations into performance reviews, this data can be especially helpful for employees. Managers want to run reports for their teams to ensure department initiatives and goals are being met. With Certify, managers can also compare expenses between sales reps to see how their T&E spending measures up against closings. Certify offers a range of top-line reports to help give your executives a clear view of the big picture. Should questions arise, executives can easily drill down into greater detail to gain the right level of oversight and data they need to manage the business. Accountants need reports on, well everything and anything. That’s why your accountants will love the Certify AP report. Easy access to monthly reimbursable expenses across the business, categorized by department, business unit or other parameters—and ready for direct output to any accounting software. 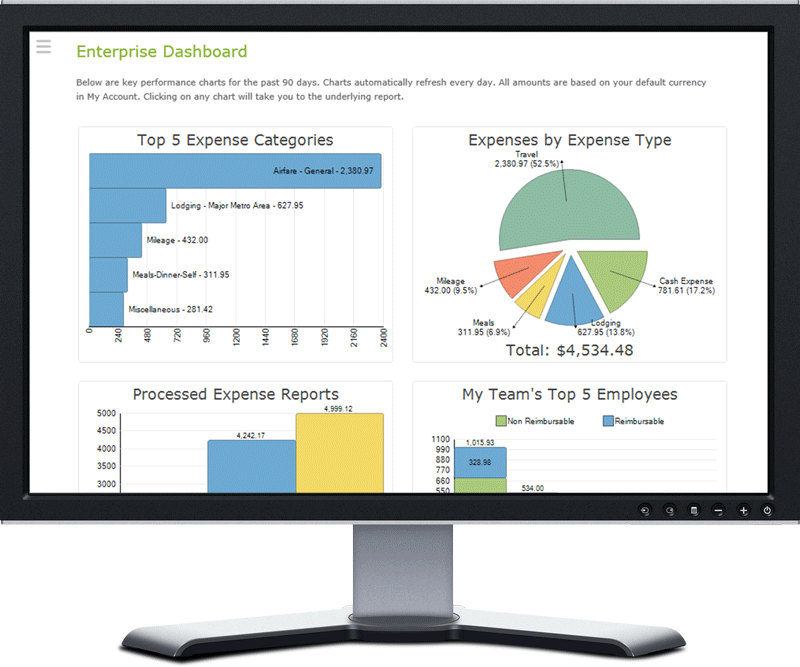 Accountants also have access to all Certify data for easy cross-functional reporting.